US NEWS: Blu-ray success fuels rise in home entertainment spending | What Hi-Fi? Good news! Despite the global economic gloom, a boom in Blu-ray disc sales and spending on e-commerce sites such as Netflix and Amazon has fuelled the first rise in home entertainment spending in America for more than three years. According to a report by industry body the Digital Entertainment Group, consumer spending on streaming, video-on-demand and subscription services such as iTunes grew 55.8% year on year to $811m in the third quarter of 2011. 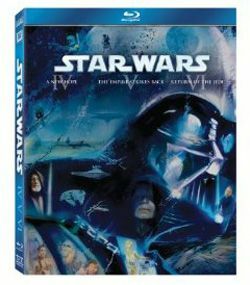 Blu-ray disc sales were helped by the success of the Star Wars franchise, and overall home entertainment spending in the US grew 4.9% year on year to $4bn. "It is a major milestone as this is the first time spending has increased since the first quarter of 2008 when the economic downturn began," says the report. "This growth reflects an encouraging shift in the marketplace … and the continued stabilisation of the industry." However, the DEG report shows that rentals of DVDs through outlets such as Blockbuster plunged almost 29% year on year to $353m. And sales of DVDs and Blu-ray discs through retail stores, as opposed to online, fell 4% to $1.75bn. That said, Blu-ray still represents something of a success story, with the number of US homes with a Blu-ray player surging 52% year on year to 33.5 million (that's including Sony PS3 sales), while sales of BD discs are up 58%.